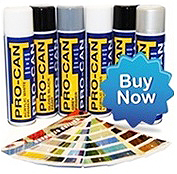 A Anti-Corrosive Primer to help prevent corrosion, rusting. This is a Single Pack product and does require a Standard Thinner. Overcoating is required with a topcoat.